Andrew Erdos and Yasue Maetake, Amorphous Terrain, 2018. 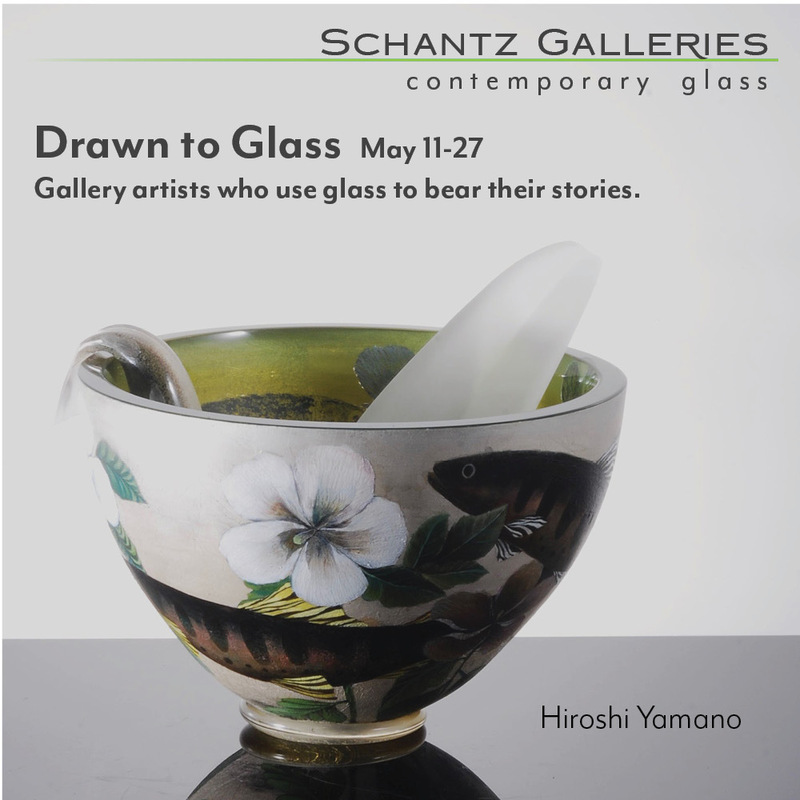 Blown glass, copper corrosion stain on pulp (kozo, abaca and cotton), steel, industrial safety glass, cane and jute rope. H 144, W 60, D 54 in. photo: kariya hirofumi. Andrew Erdos creates large-scale installations using glass (and often video) that engage the concepts of cycles of time and nature. Yasue Maetake is known for exploring environmental themes in monumental sculptures. The two, who are both based in New York, will unveil a collaborative site-specific installation entitled “Amorphous Terrain” on Friday, April 6, which will run through May 13, 2018 at mhPROJECTnyc. With the setting of an anonymous Manhattan office, the towering crystalline structure alludes to the breakdown of time and the shifting power dynamics between artist and material. 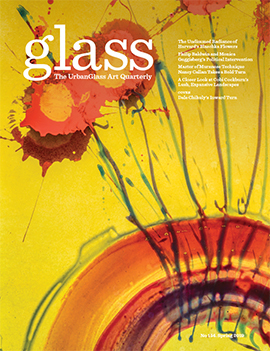 The ambitious glass arrangement blends the ephemeral qualities of its chosen artistic materials such as hand-pulled glass cane and the industrially-made found objects like broken factory windows. The opening reception for “Amorphous Terrain” will be on Friday, April 6 from 6 PM - 9 PM. mhPROJECTnyc showcases the work of emerging artists from Asia, undiscovered New York City artists, and projects by independent curators in a viewing space in the East Village. It is open on Saturdays and Sundays from 2 PM to 6 PM, and by appointment. Erdos and Maetake describe the process of constructing the sculpture as “attempting the artificial re-enactment of each material’s virtual melting point by treating broken glass and corroded paper as if they were directly malleable.” Maetake created the metal armature of the sculpture out of steel and cane and then wrapped it in handmade paper pulp. The armature was then suspended from the ceiling and Erdos created a glass base around it by stacking glass pieces on top of each other into a conical shape. 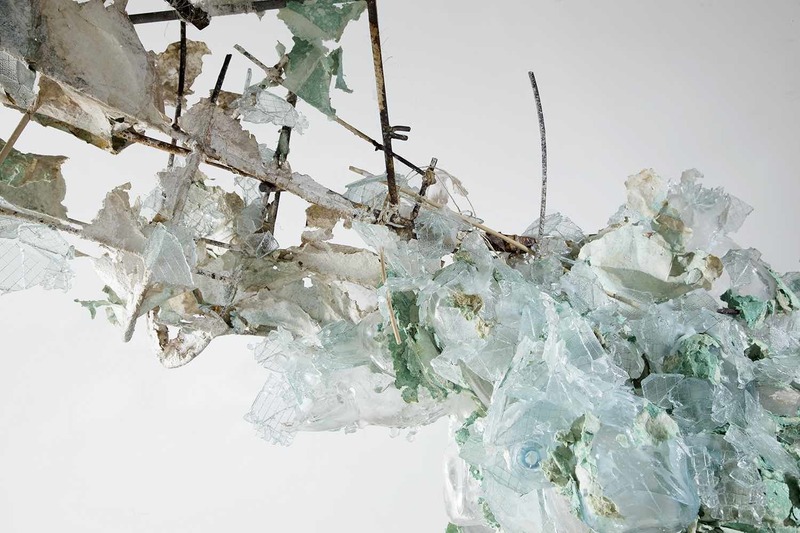 Once the glass was set, layers of handmade paper was added to the sculpture. With thematic emphasis on time and light, Erdos creates sculptures, videos, photography, and mixed-media installations. 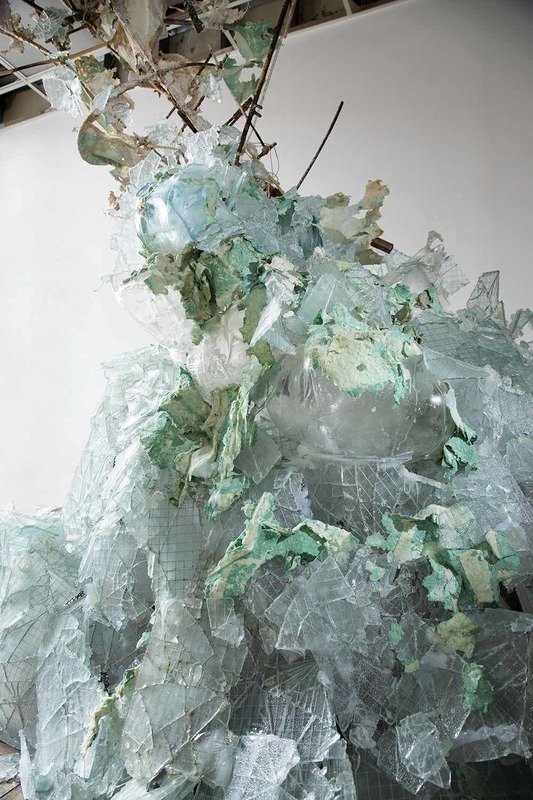 He often alludes to the relationship between humankind and the environment, which was notable in his portion of the February 2018 exhibition “Between Beauty and Decay” at Artspace in New Haven, Connecticut. Erdos’ project for the exhibition was The Mountains, which consisted of blown glass mountains accompanied by video imagery of epic desert landscapes, oil spills, and nuclear weapons testing sites. Erdos graduated with a BFA from Alfred University and is the youngest recipient of the Rakow Commission of the Corning Museum of Glass. His work can be found in the permanent collections of the New Britain Museum of American Art, the Toledo Museum of Art, and the Knoxville Museum of Art, among others. Maetake is heavily influenced by her keen understanding of physical and optical manipulation and works in sculpture, fiber, collage, and video. In the late fall of 2017, Maetake presented her solo exhibition “Reverse Subterrestrial” at The Chimney in Brooklyn, New York. 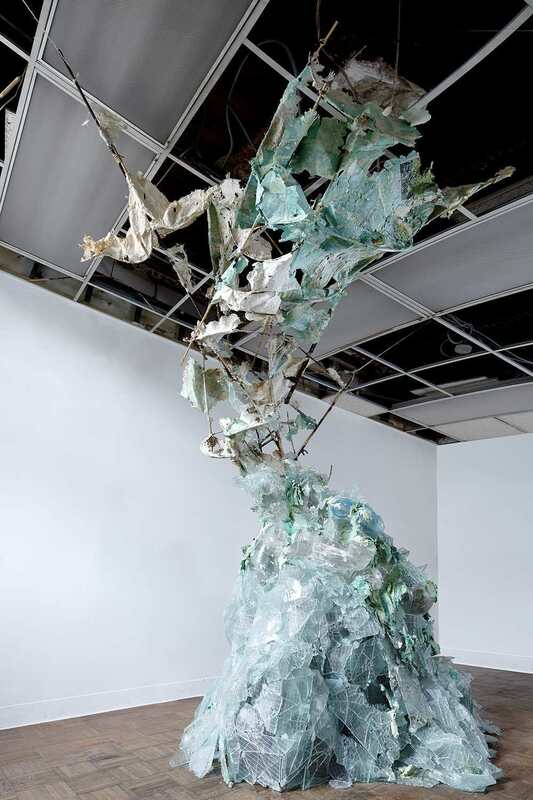 Maetake’s sprawling sculptures, some of which were suspended from the ceiling of the two-story building, allowed viewers to immerse themselves in a wild environment that called forth ideas of rebirth and deterioration. Maetake’s work has been displayed both nationally and internationally at the Queens Art Museum in New York, Galerie Fons Welters in Amsterdam, and many others. She was born in Tokyo, Japan, and has an MFA from Columbia University.